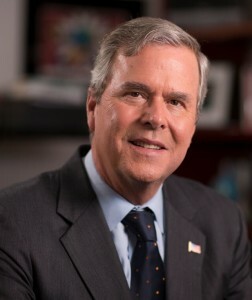 Jeb Bush served as the 43rd governor of the State of Florida, becoming the first Republican in the state’s history to be re-elected. His two terms as governor were marked by tax cuts, strong job growth and major government reform, including an overhaul of Florida’s failing education system. Following his time as governor, Bush returned to the private sector and has devoted time to issues he is passionate about, including education reform. Bush and his wife, Columba, live in Miami and have three children and four grandchildren.